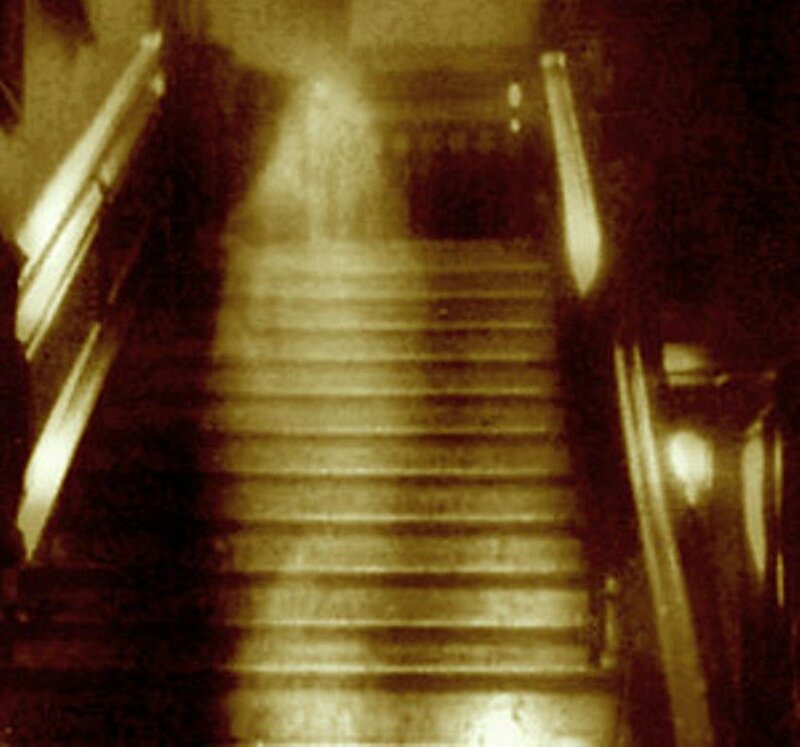 These are some of the ghosts pictures that will make everyone think about the other world of spirits. The picture is taken in Queensland, Australia in the 1940s. The grave is of Joyce, Mrs. Andrew’s daughter who passed away when she was seventeen. 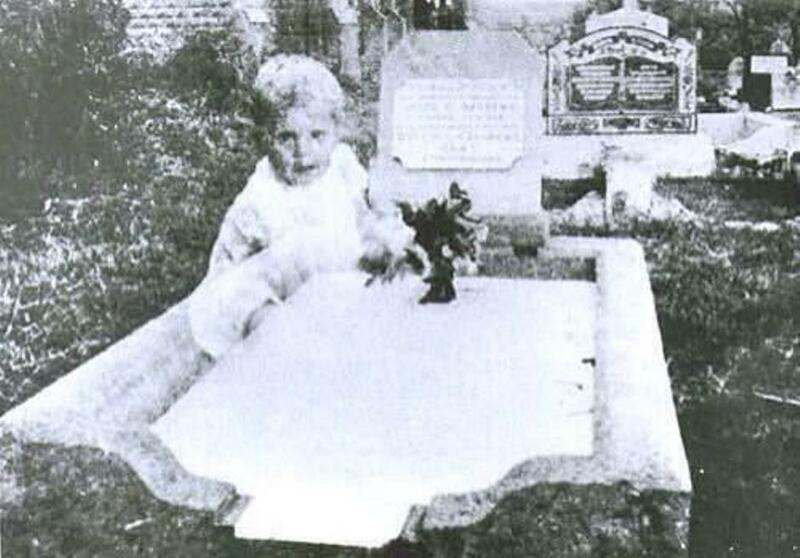 Mrs. Andrews had taken a picture of her daughter’s grave. When the film was developed she was astonished to see the image of a child who was looking directly into the camera. Mrs. Andrews did not know the child and had not seen her there when she was taking the picture. Later it was found that near Joyce’s gave were the graves of two infant girls. 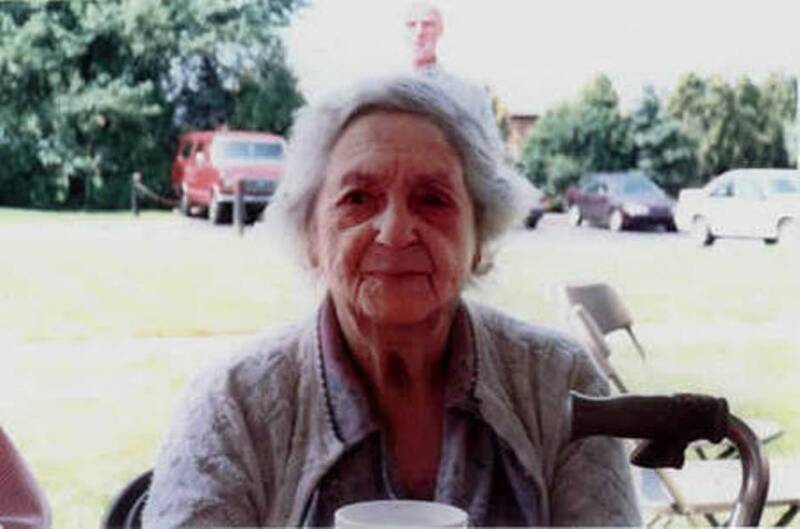 Denise Russell in 1997 clicked this picture of his grandmother. She was in her 90’s and lived alone. In the picture one can notice a man standing behind the grandmother. On carefully seeing the photo everyone in the family recognized that the man as Denise’s grandfather who had passed away in 1984. Grandfather’s old photographs confirmed their suspicions. 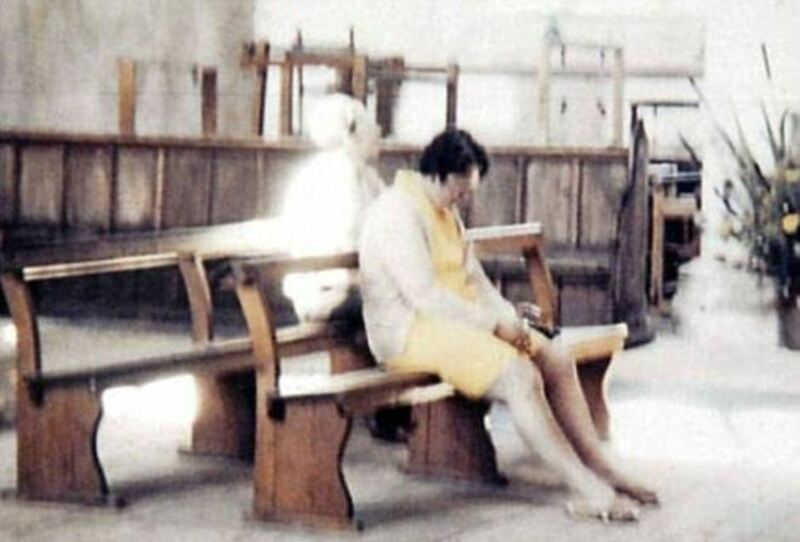 Sometime in 1975, Peter Berthelot clicked the picture of his wife Diane praying in the Worstead Church in Norfolk. 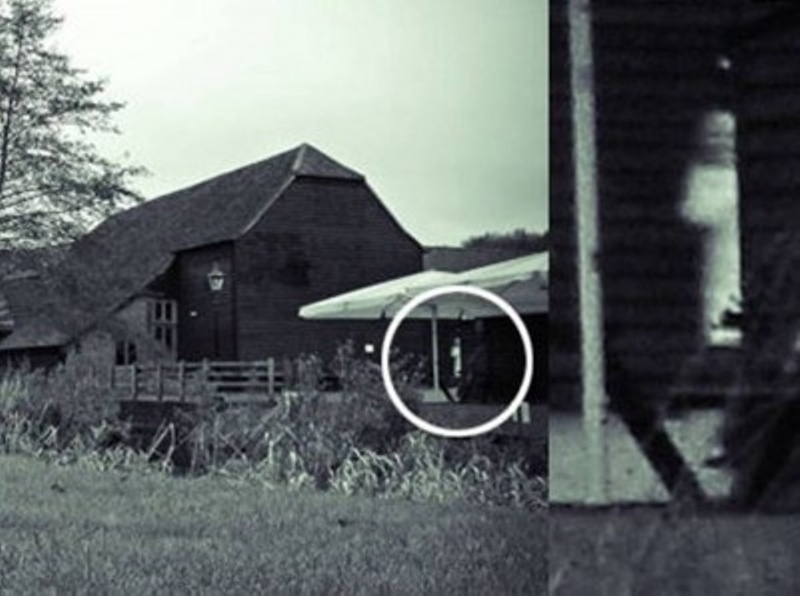 When the couple saw the photo later they saw a mysterious image behind Diane. The church vicar told them the legend of White Lady that was more than 100 years old. He told them that the ghost visits people who are sick. She comforts them and heals them.